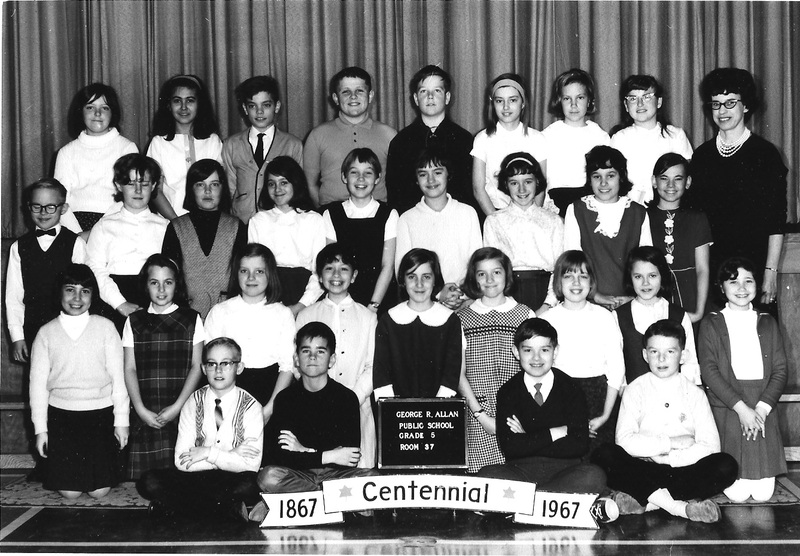 In 1967 we lived in Hamilton, Ontario and I attended George R Allan public school. It was a different time. Our teacher was Mrs. MacDonald, and she was wonderful. She worked with me tirelessly to improve my penmanship – it was the mark of a gentleman, in her opinion. We began each day with the singing of O Canada, God Save the Queen and reciting The Lord’s Prayer. Because it was Canada’s 100th birthday, the Gideon Society gave to each grade 5 student a gold covered New Testament. I still have it. The big boy, 4th from the left in the back row is, I think, Brian. He always wanted to teach me to “box”…which meant I would get beat up by him. One day when he stopped me I punched him in the stomach as hard as I could…he never bothered me again. Boys and girls the lesson here is…”violence is not the answer…well most often it isn’t”. This was one of my favourite school years and though it was my first year in a new school in a new city (my third school by that date) I found many good experiences in friendship and learning in this old school. By the time I graduated high school I attended 10 schools. How many did you attend? Previous PostCharacter is…Next PostSupper photos!